WE NEED TO TALK ABOUT . . . EDEN AHBEZ: Come and see the real thing . 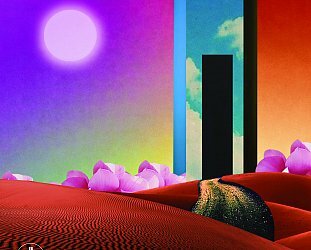 . .
With the appearance of the New Zealand alt.folk singer who goes by the name of Arthur Ahbez – whose albums touches on world music, have a free-flowing quality and are somewhat trippy – we are reminded that there was an earlier "Ahbez". He was the wonderful Eden Ahbez – after whom our Young Pretender has perhaps named himself – and he is worth more than a footnote in popular culture, even though he only ever released one album. 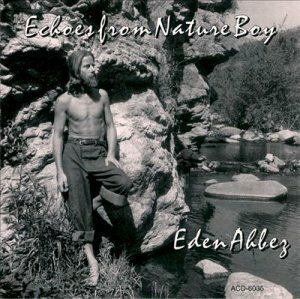 Eden Ahbez – whose music also trips out (but in a different way) and touches on exotica elements – had very long hair, studied Eastern philosophies and was a vegan, chose to live outdoors and was known for taking very long walks across the USA. 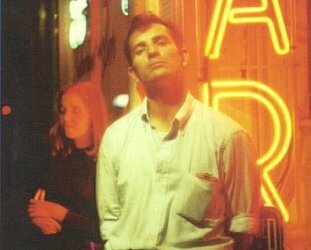 He looked like a proto-Jesusfreak and he wrote about universal love and incorporated unusual effects in his songs like the sound of straining ropes in his lovely instrumental The Old Boat. 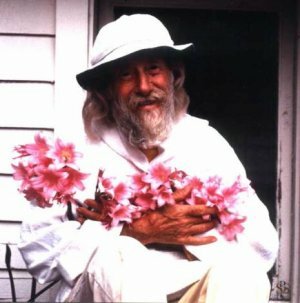 If that doesn't sound so unusual in these post-hippie/post-counterculture days it's worth knowing that Ahbez – born George Aberle in Brooklyn, one of 13 children and adopted out to a family in Kansas when he was nine – did all that in the Forties, a full decade before the Beats and two decades before hippies. 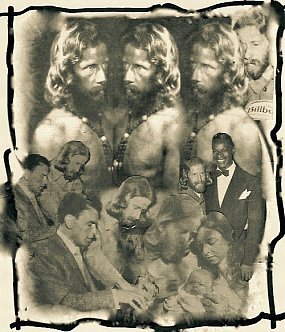 Ahbez was an unusual character alright – more so at the time, of course – and when Life magazine tracked him down in '48 (when he was 40) they noted he was “a bearded, barefooted student of yoga” who signed his name in lower case (because only God deserved capitals) and lived an ascetic and naturalistic life. The reason Life, and others like Newsweek and Time, were so interested in him was not just because of his atypical lifestyle but because he had penned one of the biggest hits of Forties, the wonderful Nature Boy which he managed to get to Nat King Cole through Nat's manager at a concert. Cole's version went to number one of the US charts for eight weeks and was very much the summer song of '48. And has remained a standard ever since. That widescreen but breezy paean to “a strange enchanted boy . . . very wise was he . . . the greatest thing you'll ever learn is just to love and be loved in return” seemed modeled in Ahbez himself, and his fellow Nature Boys who lived a similar lifestyle. The simple piano melody embellished by orchestration by Frank DeVol in Cole's treatment was very much in line with Ahbez's musical vision: He had lead a band in Kansas City in the Forties and his sole album Eden's Island recorded in 1960 is full of delightfully orchestrated instrumentals and spoken word pieces about the simple life . . . such as The Wanderer. 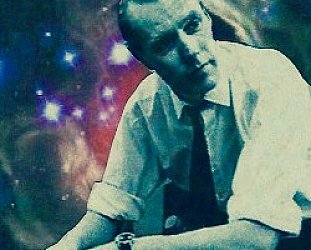 Musically, he was like a less idiosyncratic Martin Denny in some of his arrangements, but very much a unique visionary. Whatever balmy tropical island of the imagination he was on, it was his own Eden. Internet idiots would have you believe Eden's Island is "one of the weirdest albums ever made". But it isn't. That's just some post-teen moron who hasn't listened to very much music but stumbled on this obscurity. It isn't weird, it is rather lovely . . . if different. Apparently he promoted Eden's Island by doing a walking tour in the States . . . which might explain why it didn't sell. But he was known to musicians, there are photos of him with Sinatra, his other songs were covered by Sam Cooke, the Ink Spots, Doris Day and Frankie Lane . . . and later in life he was friends with Donovan, and was at the SMiLE sessions with Brian Wilson. In more recent times, songs from Eden's Island have been covered by the Wondermints (many of them in Wilson's recent touring band), Victoria Williams and others. In '54 he also collaborated with jazz composer/singer Herb Jeffries – who'd got his start in the Earl Hines band and worked with Ellington -- for the album The Singing Prophet on which there was his elaborate four-part Nature Boy Suite on the first side. It's a cracker, full of mystical allusions, cinematic strings from some long forgotten romantic movie, Jeffries' melancholy baritone and then it swings out and . . . just more. The more po-faced mystical bits were just a bit too early for the Desiderata Generation. But back to the source . 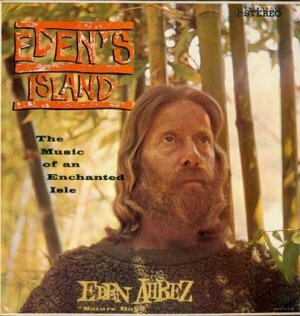 . . on Eden's Island there is a delightfully exotic aspect to Ahbez's music – hints of North African and Caribbean sounds, his plaintive wooden flute evoking Japanese Zen flute, a weightless quality to his gentle melodies – and you wonder why he didn't record again, other than three singles in the Sixties. He'd anticipated the Nature-loving, free-spirited and philosophical interests of the hippie generation . . . but by the time they rolled around the end of the Sixties he was in his early 60s and fairly reclusive after the death of his wife in '63. They'd lived in a treehouse in California with their children. 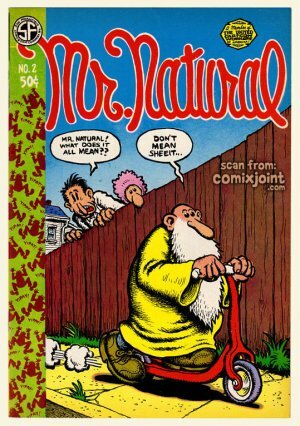 Some have suggested he was the model for Robert Crumb's Mr Natural character. Although he was successfully sued by fellow songwriter Herman Yablokoff for a share of the royalties from the much-covered Nature Boy (also done by Bowie, Coltrane, Big Star and Miles Davis among others), the regular cheques allowed him to live comfortably. In early March '95 however, shortly after his 86th birthday, he died after being hit by a car. In his final decade he had been recording with the engineer Joe Romersa and there was a posthumous album from the recordings entitled Echoes from Nature Boy . . . which wasn't what Ahbez had in mind, said Romersa. “He had a specific track list in mind,” Romersa told the LA Weekly on the release of that album. Eden Ahbez had also been working on an uncompleted book entitled Scriptures of the Golden Age. 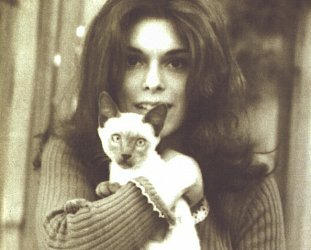 Earlier this year the excellent and informative blog Eden's Island -- created by fan and researcher Brian Chidester --announced it would be making a doco film, As The Wind; The Enchanted Life of Eden Ahbez. The teasers so far suggest it will be a fine tribute to a fascinating man who was not just before his time but in many ways beyond it. Elsewhere is indebted to the excellent and much more thorough Eden's Island blog in the preparation of this piece. 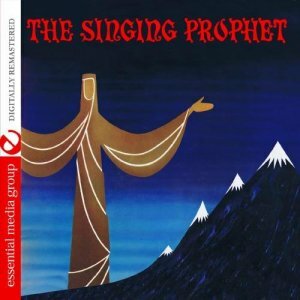 Eden's Island and The Singing Prophet are both on Spotify and are well worth hearing. For other articles in the series of strange or interesting characters in music, WE NEED TO TALK ABOUT . . . go here. WE NEED TO TALK ABOUT . . . RAY CATHODE: Electronic pioneer or just another knob twiddler?